Do you know? 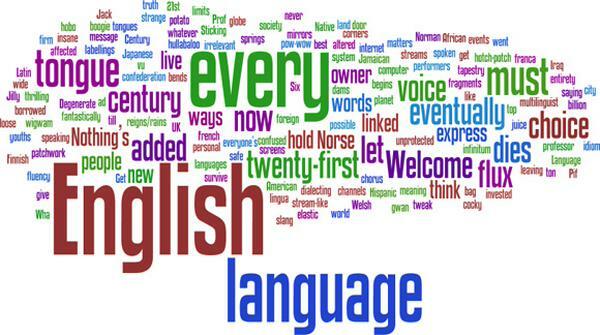 There are some incredible facts about English language which we may not had any idea before. What are they? Let's check them out! The longest word in the English language, according to the Oxford English Dictionary, is pneumonoultramicroscopicsilicovolcanokoniosis. The oldest word in the English language is “Town”. The word with most number of definitions in the English language is “set”. The combination “ough” can be pronounced in nine different ways. The following sentence contains them all: “A rough-coated, dough-faced, thoughtful ploughman strode through the streets of Scarborough; after falling into a slough, he coughed and hiccoughed. There are six words in the English language which have the letter combination ‘uu’. They are “muumuu”, which means a long loose-fitting dress, “vacuum”, “continuum”, “duumvirate”, which is an alliance between two equally powerful political or military leaders, “duumvir”, which is a rule by two people and “residuum”, which means remainder. There are only four words in the English language which end in “-dous”. They are: tremendous, horrendous, stupendous, and hazardous. There are three words in the English language that end in “-ceed”: proceed, exceed, and succeed. The only two meaningful words that end in “-gry” in the English language are: “angry” and “hungry”. The word “goodbye” came from “God bye”, which in turn comes from “God be with you”. The phrase “so long” came from the Arabic word “salaam” and also from the Hebrew word “shalom”. One of the reasons why I am using English in my posting is about the traffic. 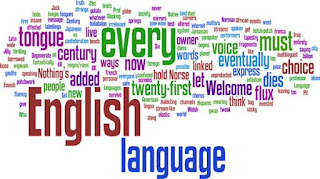 I am checking with my Google Analytic today and found out that more than 62 % of my visitors are using English language. About 86.87% are new visitor, and the rest are about 13.13% are Returning Visitor. The visitor countries of my visitors are from Indonesia, Malaysia, Denmark, USA, Australia, Netherlands, Thailand, Canada, and Japan. You have to use Google Analytic too for your blog, Miss Syahdini. It is a good one to know your blog's traffic and recognized your visitors more details. Few years ago my blog page rank was 3 loh kang, but bcoz of my laziness of posting and taking care to my blog, so it's going down to 1 hehe..
Actually the main reason of me writing isn't to have a good traffic or kind like that, but merely to share things I have in my mind. I use feature that blogger has already put in the dashboard (the stats one) to monitor the visitor of my blog, anyway I'll use the one you suggest too.. I am so sorry to heart your page rank goes down to number one, 1 I mean. Few Steps to increase your Page Rank can be done with several ways such as Update your website every day by adding more unique content, Provide inside linking to your website , Using Site Maps , Trade your link with other web owners, and submitting to any search engine tools as well.